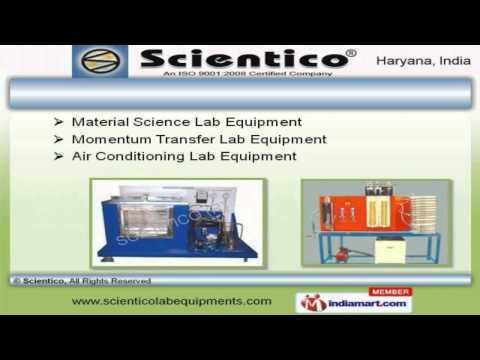 Welcome to Scientico, Manufacturer and Supplier of Laboratory Instruments. We are an ISO 9001:2008 certified company, established in 1993, at Ambala. We Export to Africa and U A E. We are supported by Cutting edge technology and Expedite delivery schedules. Asra Group of Institute and I T M University are some of our elite clients. We are specialized in manufacturing Applied Mechanics, Civil Engineering and Bio Chemical Lab Equipment. Our Fluid Machine and Heat Transfer Lab Equipment are widely appreciated in the market. Material Science and Momentum Transfer Lab Equipment offered by us are available at industry leading prices. Our Strength of Material Lab Equipment are in huge demand across the global markets. We also provide Theory of Machine Lab Equipment that are extremely reliable. Along with that we offer School Lab Equipment that are best in the industry amongst others.